Super Star Rajini Kanth’s most awaited film Endhiran in which he pairing with the Bollywood beauty Aishwarya Rai is mostly completed now. Director Shankar tries to harvest big profit with his popular cast crew in Endhiran. 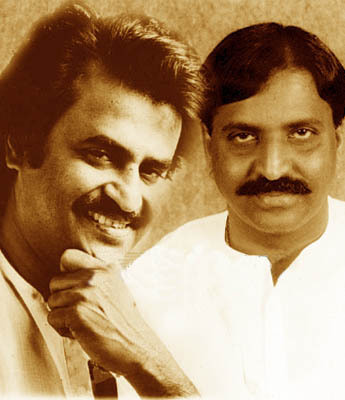 It is also now heard that a song has been written by Vairamuthu about the robot in Endhiran. So, by story the robot has been created by male and the lyrics he penned according to the story like this.. These line impressed Rajini and on hearing the song, Rajini is said to have called the poet to his voice and voiced his admiration. The poet answered modestly that the director also had a part in this. Now the tension rises for us to hear the songs in this film and we have to wait patiently up to the audio release.